We had heard a lot about Japan, but knew nothing of it. Priscilla attempted to learn Japanese while in college, and growing up in Asia meant consuming a good amount of Japanese TV shows that were popular in the 90s. Besides that, she would say she did not know much about the culture. Tom, as always, loved the adventure and a chance to take a five-day long break before the next flight to Singapore (Japan was our long layover). Japan wasted no time to show us how efficient and orderly they were. Courteous immigration officers stamped our passports with precision and high speed. At the Japan Rail office, we got our train passes within minutes despite the 20 plus people ahead of us. In the next two minutes, we were on the train platform, where the train was about to depart in five seconds. Told to stick to our seat assignments, we giggled and thought, “These Japanese take their rules too seriously.” But lo and behold, the train would split in half at some point, in which one half would go south, the other west. Once we knew, we scrambled with our clumsy suitcases, dragging them from car 16 to car 3. Thankfully, these trains were nothing like the Chicago L, where each car was separate and connected by a clunky cable. Going across these cars was more like walking down a really long hallway, all seamlessly connected like a tunnel, where glass doors separating each car whizzed open as you approached. We managed to make it to the right section and survived our first train ride. Right away, the address system tested our wits. After narrowing down the correct district, which was an area of a few blocks, we wandered around the huge blocks trying to find our hotel. Unfortunately for us, this district consisted of a university, a large garden and many apartment buildings, and somewhere in there was our hotel. Eventually, we stumbled upon a lighted sign hidden behind a relatively large gym. At last, we made it. Emboldened by our navigational success, we ventured out for dinner. We followed the map and walked to the next ward, attempting to find Tonki, a popular pork cutlet eatery. Again, we narrowed down the district and wandered around. Finally, in a dark alleyway, we came upon a set of wooden sliding doors with blue curtains but no indication of what was behind the door and no menus out front. Believing that the Japanese characters on the curtain read “Tonki,” we bravely slid the doors open. Waft of greasy pork chops hit us. Success! We found the right place again! We walked in and found ourselves standing in a completely open kitchen, where diners sit around a low bar while chefs prepared food behind the bar. As we stood bewildered, a smiling elderly man behind the bar started speaking to us in Japanese. We awkwardly smiled at each other, unsure of what to do or say, until one of the diners explained that we were supposed to place our order with the elderly man, and then he would direct us to a spot at the bar. Since there were only two options on the menu, lean pork cutlets or fatty pork cutlets, we pointed and gestured for one of each type and successfully ordered without speaking. Even at a restaurant, the Japanese efficiency was on display. Every chef had only one task, whether it was slicing cabbage or serving rice, and they were fast. Our meal was served within seconds of getting a sit, and it was delicious. We devoured it within minutes. Up early from jetlag, it was perfect timing to visit the renowned Tsukiji Fish Market. There is a “Tsukiji Fish Market Chicago” that imports seafood from THE Tsukiji directly. But surely, we came so far, shouldn’t we at least see the real Tsukiji? Especially the organized flurry of activities during the tuna auction? Alas, the wholesale area had moved and was now separate from the retail section. Nonetheless, we had a wonderful time strolling around the shops and eateries, and checking out the little booths selling a variety of seafood and fried seafood cakes to artisanal knives. And Tom tried sea urchin for the first time, his verdict? Funky. It was only 9am by the time we made our way to the Ginza area. Since most of the stores were closed, we wandered around aimlessly. We entered a part of the massive subterranean mall through a street level train station entrance, and attempted to find Jiro’s sushi restaurant. Despite marking the location of Jiro’s on our map, we never found it. Of course, Jiro’s was not open this early, we simply wanted to see the actual store in person. Failing to find Jiro’s, we went back to the street level and walked down the different side streets. We stumbled upon Antenna stores, which were stores representing specific regions of Japan, each carrying souvenirs and food unique to their regions. And then found Itoya, a large store specializing in stationery. Nerds like us spent the rest of the morning in Itoya. We continued walking north from Ginza to find Tokyo Station, a massive train station with a mind-boggling number of trains that connected here. 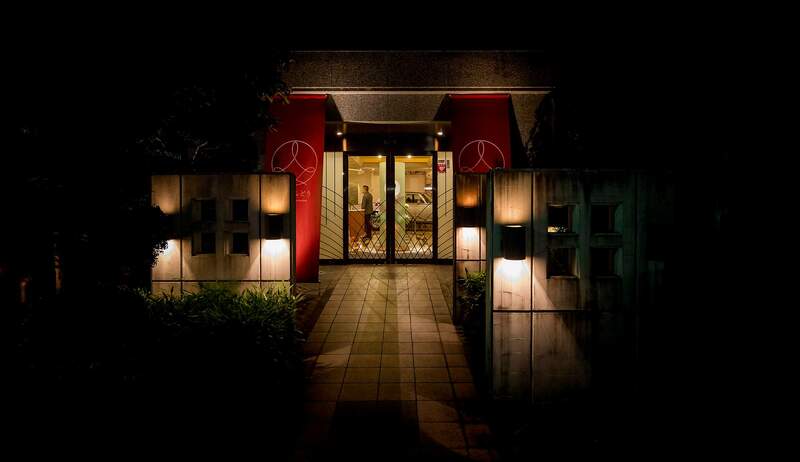 Don’t let that small European style building trick you – that was just the Tokyo Station Hotel. Once inside the station entrance, there were countless signs, and endless turns and hallways. The Tokyo Station, outside of the train platform area, was also a massive subterranean space, immense and filled with way too many dining options. Luckily for us, we were prepared! We were on a mission to locate Tokyo Ramen Street, a small section in the Tokyo Station with eight ramen restaurants that were supposedly the most famous in Tokyo. Once we were there, we randomly picked one restaurant, got in line and played with the ramen ticket machine, pushing buttons with pictures we believed were food we wanted. The machine printed a little train stub looking order that we handed to the waiter, and ramen was promptly served within two minutes. An amazingly fast and delicious dining experience – faster and tastier than fast food. Bellies filled with noodles, we headed over to Asakusa ward. Senso-Ji temple was the main crowd-drawing attraction, being the oldest temple in Tokyo dating back to year 645 AD. 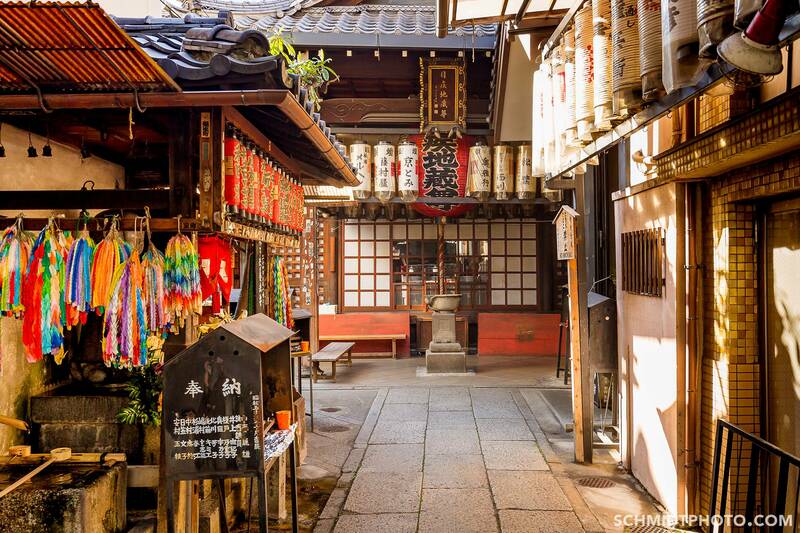 Leading up to Senso-Ji was Nakamise-Dori, a short path with traditional shops selling various snacks and souvenirs. For us, the most exciting item at the shops was green tea ice cream. We wandered around the temple, observing what people were doing, and taking in all the red and gold detail. Heading west from Senso-Ji was Kappabashi Dougu-Gai, a street dedicated only to kitchenware. If we ever found ourselves trying to start a restaurant, maybe a Japanese restaurant, we would be able to completely furnish our restaurant here. There were stores that specialized in Noren (curtains in front of doors), amazingly real but actually fake plastic food, myriad of porcelain plates and bowls of all shapes and sizes, and much more. There were so many intriguing stores, and hours went by in a flash. We were glad we had limited cash and luggage space, otherwise we would have bought way too many kitchen wares. Dinner was at Sometaro, a rustic okonomiyaki place. The little wooden building was wedged between two nondescript concrete buildings, and the front of the restaurant was almost obscured by a tree and overgrown plants. Stepping inside, we removed our shoes, and sat down on the floor covered in straw mats at one of the low tables. Each of the tables came with a hot plate for people to make their okonomiyaki on. A staff helped us mixed the pancake batter together with the ingredients we picked, and put the mixture on the hot plate to cook. We just had to make sure we didn’t burn the pancake. Easy and fun experience! Kyoto was our side trip outside of Tokyo to see a different side of Japan, where Kyoto was the previous capital, and well known for preserving the traditions and culture of the old Japan. The city was about 290 miles away from Tokyo, and the best way to get there was via the famous bullet train, Shinkansen. Still jetlagged, we arrived early to Shinagawa train station and were caught in the morning rush hour. The trains arrived one after another without a break, and an endless stream of silent men and women in black suits, white shirts and black suitcases poured out of each of these trains. The result was a constant roar of leather shoes clicking on the tiled floor, a river of black and white flowing towards the exit. What could demonstrate the density of Tokyo better than a scene like that? And yet Shinagawa was not the busiest train station in the city! Navigating across the fast flowing river of black and white, we found the platform for the Shinkansen. One of the fun parts of the Shinkansen was the ekiben experience. Right before boarding the train, there were little kiosks that sold a variety of beautiful printed boxes that held intricately packed lunches, also known as ekiben, or train bento. We grabbed a couple, along with some interesting candies and drinks, and settled in for our journey. We set up our lunches, admiring the delicate little rows of rice and slices of meat and vegetables as we zoomed by the sprawling city-like suburbs of Tokyo that soon gave way to farmland and even caught a glimpse of Mount Fuji. The train ride was actually a sublime experience! We were having such a good time that we were caught off guard when the train had quietly arrived at Kyoto. Stumbling out of the train, and finding our way out of the station, grey malls and noisy construction greeted us. Kyoto was not pretty right away. Wasting no time, we dropped our bags off at our hostel and headed towards downtown Kyoto, a 30-minute walk away. It was immediately clear Kyoto was much different from Tokyo. Kyoto’s footprint was much smaller, and buildings were more spread out. The effect was a less chaotic, slower and almost folksy vibe. Nothing was too exciting on our walk towards downtown, and in fact, we passed some old buildings that looked like it was on the verge of being condemned. Once at Shijo, the main downtown street, shops and tourists were everywhere. We headed towards Nishiki market, a traditional market place for Kyoto food. Most of the stores were peddling food products like pickled vegetables or seafood, and some souvenir and ceramic stores were peppered in there. There were certainly gems in there, such as a store we found specializing in sesame only, where they had a deliciously simple yet richly flavored sesame ice cream. Gion and Matcha Green Tea Ice Cream! We continued heading east, attempting to find the famous Gion area, known for traditional architecture and a chance to spot a geisha or two. Somehow we ended up on a wrong street and were confused by how quiet and ordinary the area looked. Realizing we were in the wrong place, we changed our route and stumbled upon a quiet little path by a river. Little narrow bridges connected both sides of the river, and dainty trees lined the path, while what looked like the back of people’s homes sat on both sides of the river. It was a lovely walk that ended in the Gion area, which was bustling with tourists and crowded stores. The main Shijo street in the Gion area was filled with store after store of souvenirs and Kyoto sweets. The sweets especially, really showcased the fine art of Japanese packaging – intricate sweets delicately wrapped and nestled in exquisite boxes. The packaging was so well done it would be painful to tear it open. Our main goal was to get to Tsujiri, famous for high quality matcha and amazing desserts. In particular, we were after the matcha parfaits. These parfaits were edible pieces of art – precise little cubes of matcha jello, fluffy matcha sponge cake, spherical balls of shiratama, and scoops of sweet red bean on top of vanilla and matcha ice cream, along with a shot of matcha tea and finally topped with perfectly piped matcha whipped cream. It might sound like sugar overload, but in reality, these parfaits were just gently sweet, allowing the flavors of each component to shine. We loved the parfaits so much we ate one everyday we were in Kyoto. We had heard about a ramen place, Gogyo, which had a unique style of ramen. More precisely, the style was burned ramen. We found the quaint little restaurant in a quiet street off the main Shijo Dori, with an equally quaint wine bar next to it. Right in the front window of Gogyo, a chef was creating massive flames in a wok. We came thinking we were about to taste some burned noodles. Turned out, it wasn’t the noodles that was burned, it was the broth. Somehow the broth was burned in the wok, and the end result was a charred broth, dark and ominous. The broth certainly had a rich and slightly bitter taste, but still strangely tasty. Before the meal, there was also an extremely delicious un-charred broth that came with a small restaurant fee charge. Gogyo was a polished yet laid back restaurant to enjoy some noodles after all day of walking around. Kyoto was surrounded by mountains, and not too far outside downtown in the northwest corner, Arashiyama bamboo grove was one of the most highly recommended places to visit. The bamboo grove was greatly touted as a scenic walk, with tall bamboos on both sides of the path creating the signature Japanese zen aura. It was also really easy to get to, with a direct train from Kyoto Station. One thing we learned, the idea of “scenic” was highly subjective and dependent on where the observer was coming from. Spoiled by the diverse and breathtaking landscapes of North America, we realized what we thought was “scenic” was very much different from what someone who was coming from Asia’s concrete jungle would find “scenic.” So alas, for us, Arashiyama bamboo grove felt more like a small urban landscaped garden walk. But, we still enjoyed the walk, taking photos and breathing in the fresh mountain air. The bamboo groves would probably be best experienced with few people around, but unfortunately, being a top tourist destination ensured it would not be peaceful. There was a couple doing a wedding photo shoot, and the number of visitors increased by the busload every half hour. Literally. We escaped the groves just as we saw a new batch of tourists filing out of big tour buses, their guides corralling them into long lines of two by twos, ready to march into the bamboo groves. So be warned, this would not be as zen-like as the pictures you would find online. The residential area surrounding the bamboo grove actually provided a rather interesting and peaceful experience for us. We found a quiet temple to explore, picked up mochi from a kind looking lady, and peered into cute little homes, before wandering down the main street with shops and restaurants on both sides. We decided to get lunch at Yudofu Sagano, a restaurant that specialized in the tofu cuisine of the Arashiyama area Buddhist temples. The meal started with little dishes of various pickled vegetables and a soft-boiled egg, before progressing to heartier fare of rice and tempura, with the highlight being big chunks of tofu in a boiling clay pot of water. The final dish was a delicate dessert also made from tofu – a tofu that was thick in consistency, pudding like, with a little drop of sweet jam on top. It was a fascinating meal that introduced us to various types of tofu, and the simple yet sophisticated flavors from each dish. On the way back to downtown Kyoto, we stopped at Nijo jo, a wooden castle surrounded by two concentric moats built in 1603. The castle was nicely preserved, and along with the landscaped gardens, it made for a fun leisurely walk with the added benefit of learning some history. From Nijo jo, we took a train to the east side of Kyoto, and went on a walk through the temples. Kyoto was known for the many zen gardens hidden in these temples, but many of these temples appear to charge an entrance fee to enter the gardens. There were some highly recommended temple gardens to visit, but the names were confusing, so we mostly observed from the outside. We walked down Tetsugaku-no-michi, Philosopher’s Path, which followed a winding river behind temples and homes. Along the way, there were a few friendly cats and a quaint shop or two offering some snacks. At the end of the path was the popular Ginkaku temple, and here, we splurged on tickets to visit the zen garden. It was not disappointing. The temple was surrounded by plenty of extremely well raked sand, an immaculately piled cone of sand, and some strategically placed rocks. Maybe it was a tourist trap, but we had to visit at least one zen garden after coming this far. Again, this would be much better experienced without throngs of tourists around. Back in downtown Kyoto, we were off to explore Ponto Cho alley. Ponto Cho alley was off the main street of Shijo Dori with all the malls and tourists, but once stepping into Ponto Cho, the atmosphere changed instantly. The alley was tight with traditional houses turned into restaurants with tiny storefronts cramped shoulder to shoulder, and it also seemed to be where all the tourists flocked to, where English could be heard in the crowd and even a few western cuisine restaurants could be spotted amongst the dining options. We wandered around, decided to avoid being the hapless tourist scammed by high prices and not-so-awesome food, and also because we did not do our homework on what was good here, we left and had dinner at 7-11 instead. 7-11 in Japan was nothing like those in the US. There were actually amazing food to be found, such as freshly made sushi and hand rolls with crisp seaweed brought in every morning, along with an assortment of surprisingly delicious basic sandwiches with breaded chicken or tuna salad. It was not too hard to cobble together a meal at 7-11, and certainly only cost a fraction of what we would have spent in Ponto Cho. Last day in Kyoto, we were still jet lagged and up early. With hours before heading back to Tokyo, we took an early morning walk around Gion. The streets of the historic neighborhood were quiet, with an occasional one or two people rushing to their next destination. It was the perfect time to enjoy the sunrise, and observe the quaint wooden houses in peace. With that, we headed back to Kyoto Station, grabbed some ekiben again, settled into our seats on the Shinkansen, and catapulted back to Tokyo. Leaving Chatei Hatou, we began our walk from Shibuya to Harajuku, and to the well-known Takeshita Dori, a side street crammed with fashion boutiques. The area was busy, despite being a random afternoon on a weekday. We saw long lines at all of the brightly pink crepe stores that were about the size of a food truck, and caved, got ourselves a crepe. For once, the food was disappointing. The crepe certainly looked way more promising in the fake plastic version. Tossing the crepe out, we continued to wander around, observing the bold fashion statements on some of these people, and marveling at the effort that went into the getup. We kept walking down the main busy street, passed quieter areas of nondescript buildings, and ended up in Shinjuku. In the older streets of Golden Gai where tiny little shop buildings were crammed into narrow alleyways, there were odd little bars that appeared too intimidating for us to venture into. These were really small and dark bars, where the ubiquitous salaryman would hide for drinks after work. Some were so small it could only seat three people, along with one bartender. There were also rickety narrow stairs to the second floor of these buildings but no indication of what was at the end. Since it was early, there weren’t too many people around, and the bartenders/owners of these bars were leisurely watching tv as they waited for their regulars to show up. Our shyness got the better of us that day, perhaps it was knowing that some of these bars were for regulars only, we passed on intruding these intimate spaces. Maybe next time! Somehow, we lost our instructions on where to find delicious food in Shinjuku! We saw one after another, big tourist-centric looking restaurants, eventually gave up, and headed to Tokyo Ramen Street yet again. Ramen restaurant #2! Last Day in Tokyo – Back to Tokyo Ramen Street! On our last day in Tokyo, we put our suitcases in one of many conveniently located lockers at the train stations. Freed of our baggage, we once again headed to Tokyo Ramen Street. Yes, we were obsessed with ramen. One of the restaurants had a long line each time we were there, so we were planning to be one of the first people when it opened. And we made it in as the first 10! This ramen joint was a surprisingly stressful place to be in. Salaryman were their typical patrons, and they often appear to have a pressing mission on their hands, always seemingly in a rush. The moment we were seated, the ramen came to our table within 2 minutes, and even then, the waiter apologized for the wait. And then the clock started ticking. An unspoken competition began on who could finish their ramen first. Slurping sounds emanated from all corners, and before we even got to the third strand of noodle, the first salaryman stood up, ready to head out after finishing his ramen. Soon, the people who were seated at the same time we were had all left, while we barely finished half our noodles. Waiters were eyeing our bowls, indirectly putting pressure on us to speed up our eating. If anyone wanted to feel intense pressure to eat fast and finish the food, ramen places like this would be a great experience. Nonetheless, we tried our best to eat as fast as we could while enjoying the amazingly smooth and thick noodles in the rich broth. That was our last ramen meal for this trip. With that, we picked up our suitcases and headed back to the airport on that amazing splitting train we came on. On the surface level, Japan looks like a regular big city with many concrete buildings probably built in the 80s, while traditional temples and old style smaller shops and homes peppered in between hint of the old days. What makes Japan really interesting is the culture within. As we dive into the city, we unearth countless artisan and tiny mom and pop stores, selling anything from knives to noodles. Yet despite the seemingly entrepreneurial culture, there is the contrasting omnipresent stoic salaryman who inhabits the rigid and hierarchical corporate world. Tokyo is also extremely quiet, despite having the largest population size of any city in the world. There is no honking, no sirens, and no loud chatter – in fact, no chatter at all. There are places that appear strange and even scary to step into, like a dingy coffee shop, or a dark alleyway, but Japan appears to be mostly safe. The worst that happened was finding ourselves in a tiny store, confused, feeling awkward and unsure of what was the “right” thing to do, yet no locals even batted an eyelid. Japan did not charm us immediately, but it grew on us throughout our trip and even after, as we embrace the quirky culture. We will surely visit again for the strange experience that is so uniquely Japanese.